California is gearing up to issue distribution licenses to marijuana businesses on Jan. 1, and many are scouting the state’s winemaking regions. 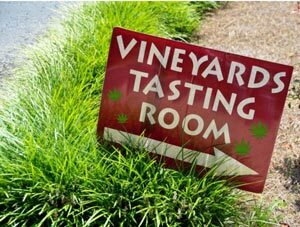 In fact, Sonoma County just hosted its first “Wine and Weed Symposium” to help wine and marijuana businesses connect. Hosted by marijuana entrepreneurs, the event was designed to help those in the cannabis industry build bridges with longtime winemakers. And it worked. In fact, it was a completely sold-out event. "I think there's an opportunity for both industries to flourish in this community," said longtime winemaker Dennis De La Montanya to CNBC on Sunday (Aug. 13). Montanya is one of the many people who believe wine and weed will pair well as business allies. In fact, we’ve seen this story play out before. There you will find his exclusive list of the 30 best cannabis companies to invest in now. Hope this helps! Thanks for your comment. The question was how do I invest, if I am a first time investor, what's the procedure, who do I contact, etc. Glad to hear it helps arthritis ???? Marijuana is in NO shape or form addictive!!!! How can I buy best stocks? Need usefull information not a chase around thr internet. What about Canada? They will be up and legal this year so is it too soon to invest in any pot stocks there. I already bought a small amount of Leaf buy. What the best one as of end of Aug 2017?